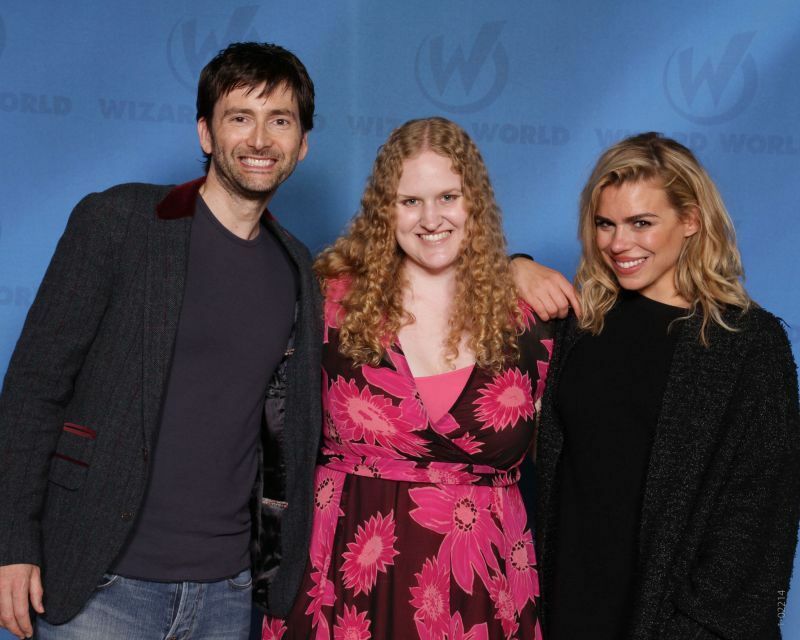 goldy_dollar and I went to the Wizard World Philadelphia con to see David Tennant and Billie Piper, which was completely surreal. That part is all a bit of a blur tbh -- for one brief moment in time David Tennant and I were touching each other which is truly the important thing lmao. Adding to the surreality was that joining us to the con was bazat89 -- FINALLY after all this time I have seen Liz in the flesh! It was awesome and generally too brief. bluetooth16 was there too! I've met a lot of internet friends over the years but the combo of Liz + Amanda + David + Billie was something else. I ALSO got stopped by someone named Claire who said she had read my LJ and my fic, which was awesome -- hi Claire!!! lol it's pretty funny that you, me and Frances all have photos with the both of them now. What a time to be alive. I was kind of pleasantly surprised Billie seemed like she'd maybe brushed her hair or showered.